It's always so funny to me when people ask me what my style is. I immediately start blubbering all kinds of words that don't make sense, "Well, I like neutrals and solids, but my closet has a lot of stripes and I tend to love a punch of red, so I guess that's not entirely true. I like to be classic, but a little trendy, and probably a little preppy, too." I'm sorry, what? What does any of that even mean?! See? Blubber. 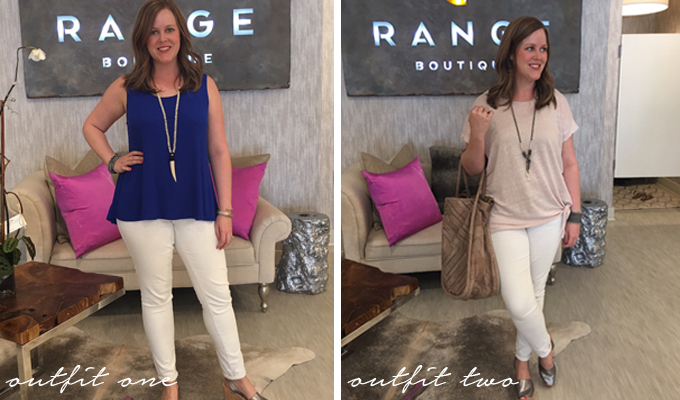 When I was invited to have a one-on-one styling session at Range boutique in Atlanta, I basically jumped at the opportunity. Finally! A chance for someone to help me define my style, tell me what looks good on me, and maybe even push me outside of my comfort zone. Sign. Me. Up. One of the first things out of my mouth when I met the stylist was that I was scared. And it wasn't a lie. I've never had a stylist work with me to find something that looks good. She reassured me that everything would be great, and that I could walk around and choose some items, and she would too. Note: I showed up wearing a black top, white jeans, and sandals. She immediately informed me we would be trying some color. Bring it! 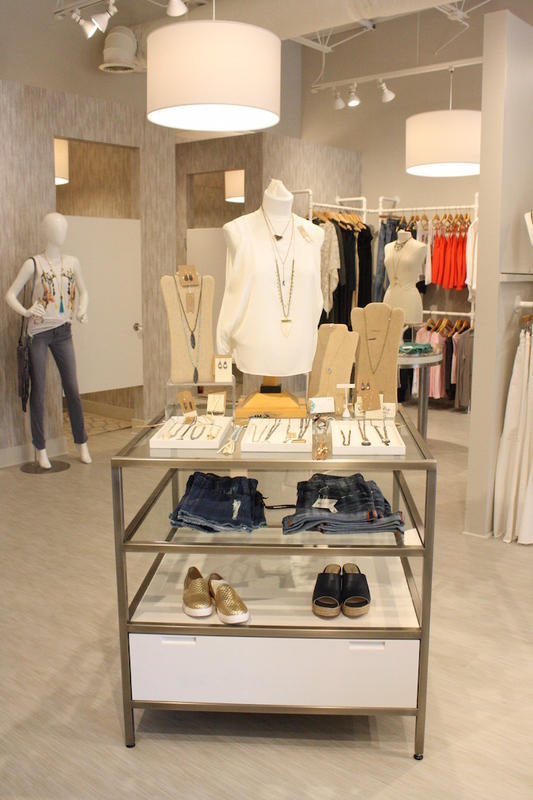 I quickly filled my room with some items, and so did my stylists (I had at least 3 women in the store helping me!). I tried on TONS of things which made the whole experience fun, and I loved showing the stylists what I was wearing for honest opinions. It was a smashing success because I was able, willing, and ready to receive advice. 2. Welcome anything and everything. It's all about having an open mind. I tried on a pair of loud, funky, coral and navy floral pants that I was thisclose to loving. I also tried on jeans that I figured would be a little snug based on the size, but at my stylists' recommendation, I gave them a try anyway. It was an experience, and I wanted to make sure I wasn't missing anything! 3. Have an event/outing in mind. Range is definitely a place where you can walk in with work clothes, and walk out with an entirely new outfit to take you straight to dinner. One of the ladies even described a situation in which a woman came in, said she was going to dinner at 10 Degrees South and picked up an entire look (down to her bra!). She changed in the dressing room and was off to her date! 4. Don't forget the accessories! Seriously the best part. I had so much fun trying different bracelets, necklaces, and bags. You can never have too many accessories, and accessories will absolutely make or break a look. I pretty much fell in love with the shoes in these outfits and may or may not have to go back and get them. Oops. The bottom line is this: embrace opportunities to play with your style. Who says it can't evolve over time? 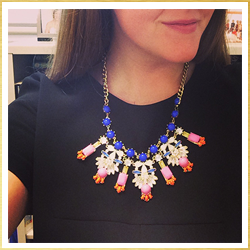 And who says if you love Lilly Pulitzer, you can't also grab something from Rebecca Taylor? No one! Style is a way to have fun, and a styling session? Well that's just icing on the cake. 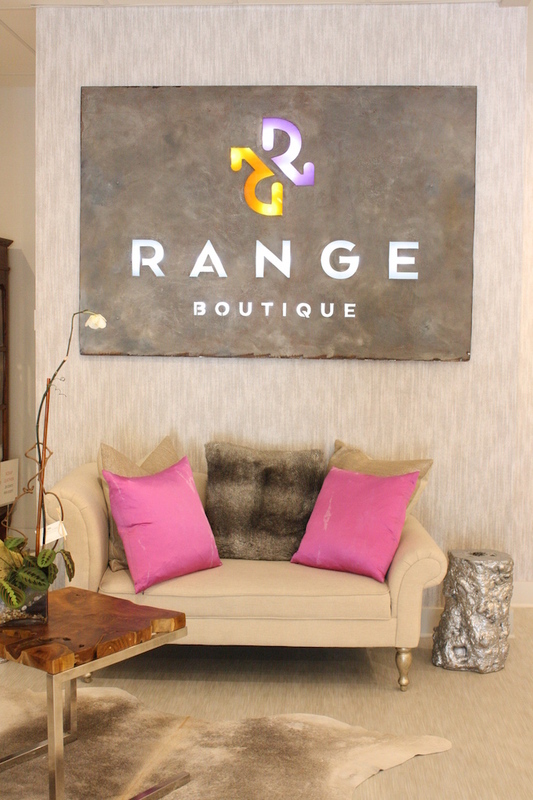 If you're interested in your own styling session at Range, pop into the store at any time! They have a brand new location (just a few miles down the road from their first store), and they'd love to help you find a look for any outing you can dream up. Don't forget the 4 secrets to a successful styling session, and don't forget to let me know what you find! I received a store credit to Range in exchange for this post. All opinions are my own! Oh my goodness what a FUN experience! I need this. I need someone to dress me because I'm not entirely confident in my ability to do it myself (unless it involves jeans and a tshirt).